Hi, we are a semi-retired professional couple. Making the most of any free time she has, Carol enjoys her hobbies of playing the piano, fishing, hiking and travel. Jeremy shares the latter two interests, plus offers 'shore-crew' support for Carol's fishing excursions, busies himself cooking and supports his beloved Sydney Swans Australian Football League team. Both of us are healthy and fit, assisted by our twice weekly 1 km swims, regular walks around our local area and we also cycle frequently. Our travel experiences are pretty extensive - starting with a 7 week trip in our mid-twenties to Japan which we enjoyed immensely and set us on a life journey to travel whenever we could afford the expense and time, although some trips were work related. 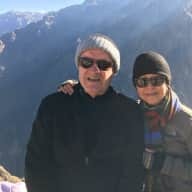 Over the years we have visited Canada (a number of times), the United States, parts of South East Asia, India, England, Ireland, various parts of Europe and most recently we have returned from a 71 km hiking trip in New Zealand. We can't get enough of it. 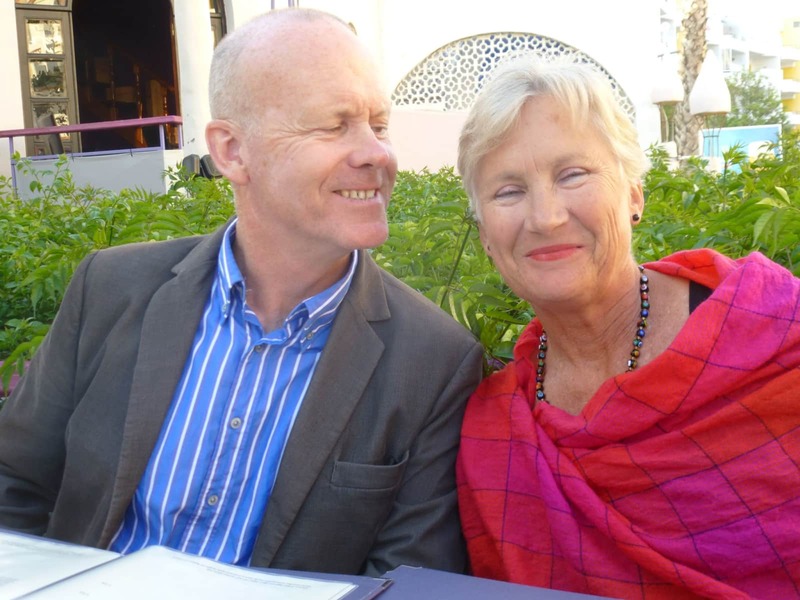 Carol has also endeavoured to learn German, has some basic conversation skills, but is by no means fluent. She enjoys trying though! Both of us are pretty good communicators (in English!) and would be comfortable providing regular updates on the condition of your property and pets by phone, Skype, WhatsApp, Facebook, or email in order to keep in touch. We are acutely conscious of how much an owner would like to be reassured that everything is going smoothly. We recall being terribly nervous whenever we had to leave the care of our dogs and cats to others when we were travelling for work or leisure. We also realise what a privilege it is to be given the opportunity to house-sit and we would never take for granted the trust that is required to let a stranger into your home and we would be very respectful of your property and possessions. Having lost two beloved dogs, Sasha and Lola, when they died a few years ago (at ages 17 & 18!!) Carol enjoys looking after other dogs from time to time - whether they be friend's dogs, or assisting a dog walking business at peak times. 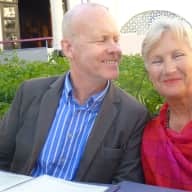 Carol and Jeremy see house-sitting as another opportunity to enjoy caring for other people's pets and to also have the opportunity to catch up with far-flung family around the world. Carol can provide a reference of her experience as a dog walker and pet/home carer from the 'Collar & Lead' dog-walking business. She has assisted this business on a part-time, casual basis for the last 6 years since our two dogs, Lola and Sasha, passed on. We haven't replaced these pets since we now live in an apartment. Both of us are comfortable looking after cats having owned a couple in past years. 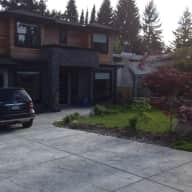 On the house minding side of things you will find us pretty fastidious in keeping a house and property clean and tidy and, although we have recently moved into an apartment, we still enjoy gardening. We are pretty proud of our small balcony herb garden. Thank you Carol for taking care of the boys! Sebastian been Sebastian was very happy and Juno is still talking about going to see you in Australia.....lol Great people and hope to have them over again. Thank you to both of you. Carol and Jeremy are my go-to friends whenever I need help and advice with my dog, and any other issues with pets. They have looked after my house and garden (nowadays pots on the deck) numerous times when I was travelling which gave me peace of mind while I was away and on my return a happy and healthy dog and the tidiest house and a flourishing garden. Carol is assisting a local professional dog walker and I know that she is very familiar with a wide range of dog breeds and their specific characters as I have joined her on a number of walks with her charges. Carol is a keen gardener and they are a very house proud couple. It might be a cliche but I am sure they will take care of your house, the garden and the four-legged inhabitants as if it were their own. Carol and Jeremy love the out-doors, in particular Carol shares my love for multi-day hikes and they both are well traveled and open minded. They are most trustworthy, reliable and resourceful with a good sense of humour. Carol has been working for me casually walking dogs ( an assortment of breeds from small to large), and doing home visits which includes feeding all types of pets since February 2012. Part of this includes being responsible for keys to a number of clients properties. I have no hesitation in recommending her for a house sitters role as she is trustworthy, honest, reliable, and has a caring nature with the pets.